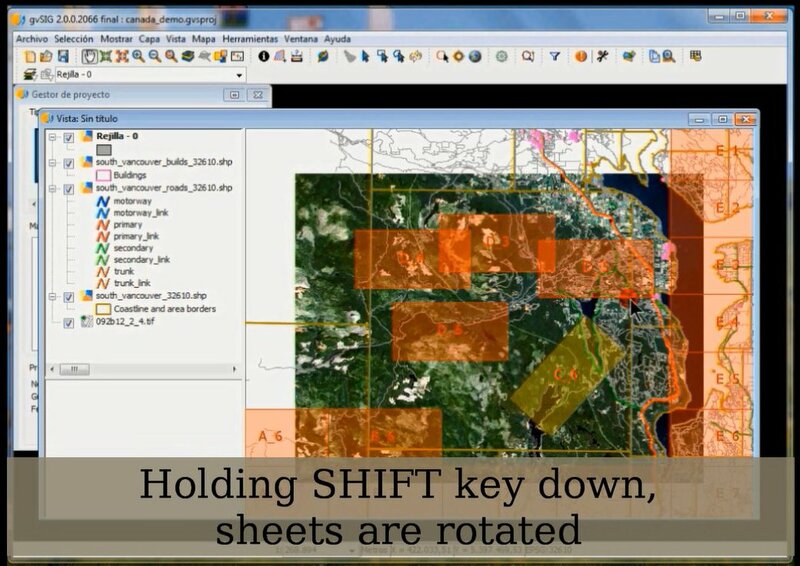 User can rotate sheet frame by holding down the SHIFT key and dragging the mouse. Click to see full image. Description of some components of one of the resulting maps. Click to see full image. 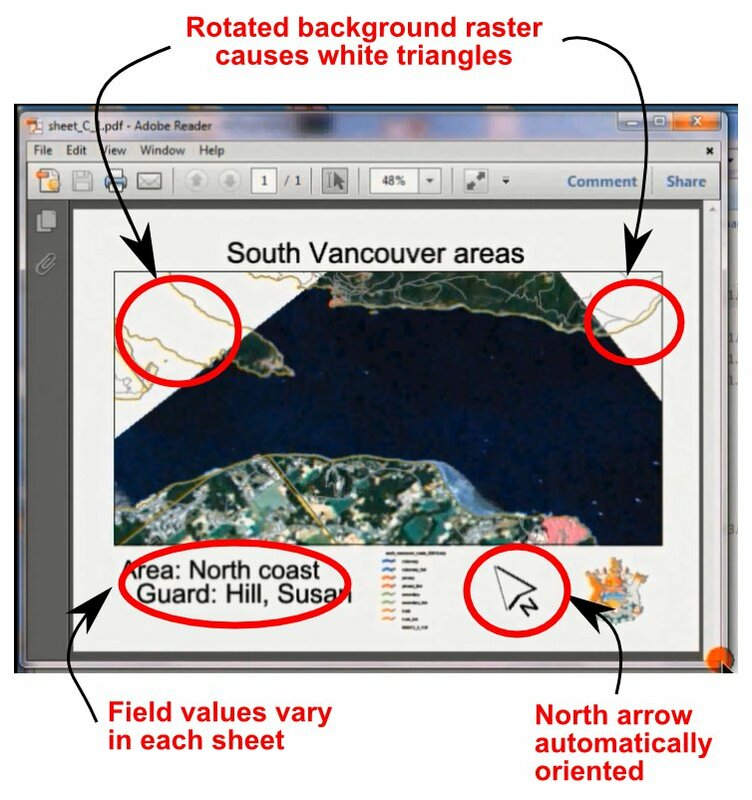 This entry was posted in development, english, gvSIG Association, gvSIG Desktop and tagged gvsig, gvSIG 2.0, map series, map sheets, maps, printing, video. Bookmark the permalink.